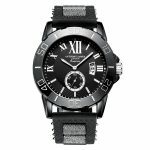 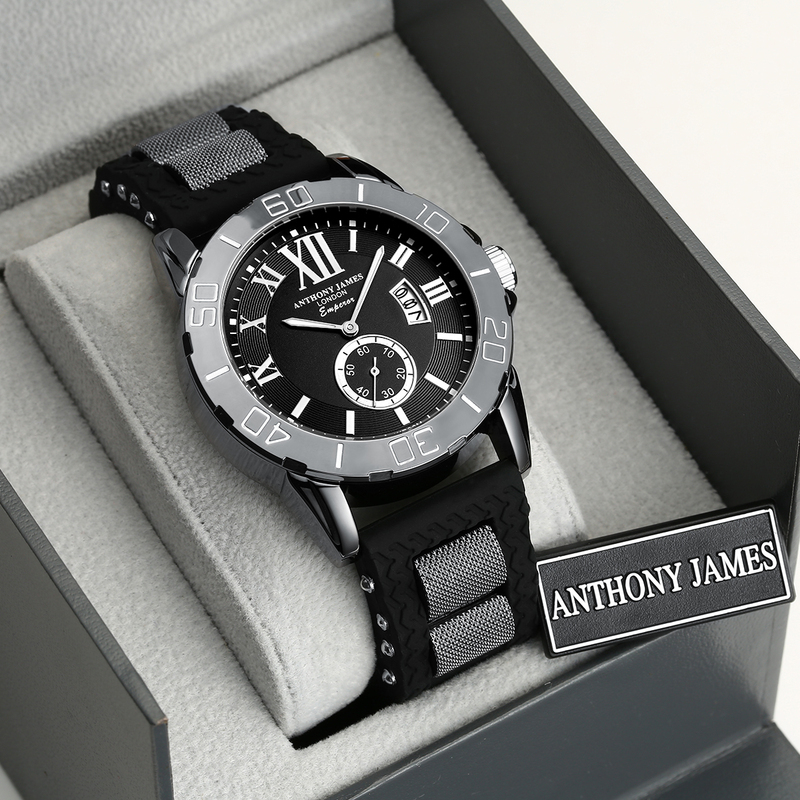 The fabulous Anthony James Emperor with it’s hard black metal casing and rubber bracelet which includes Roman Numerals and a buckle with logo, which provides great durability. 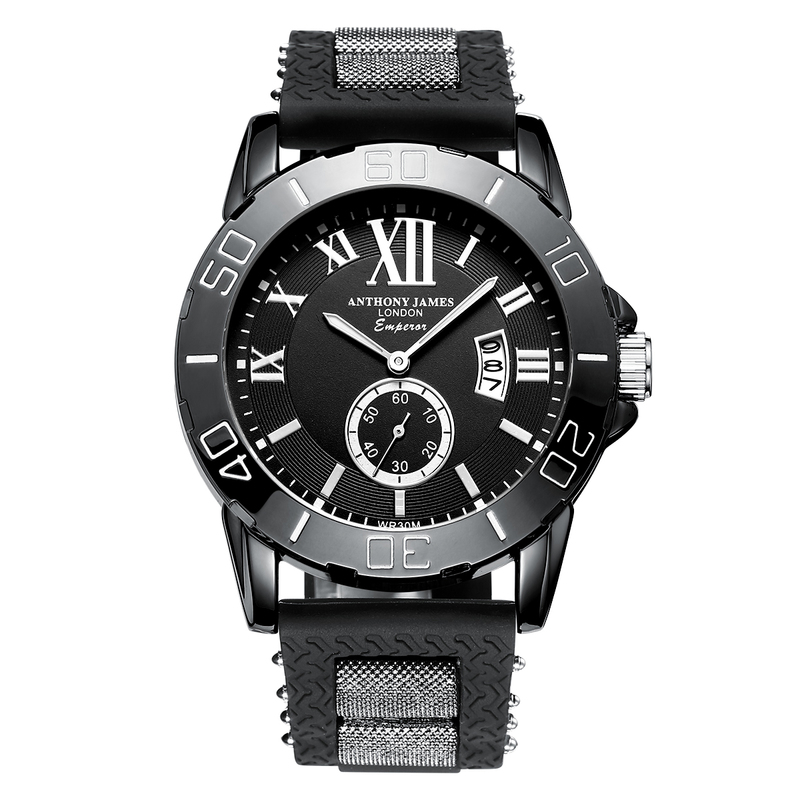 This iconic sports timepiece is quite simply a statement of class and style and a sophisticated alternative in the sports watch range. Our watches can be purchased online via selected stockists, distributors and suppliers. 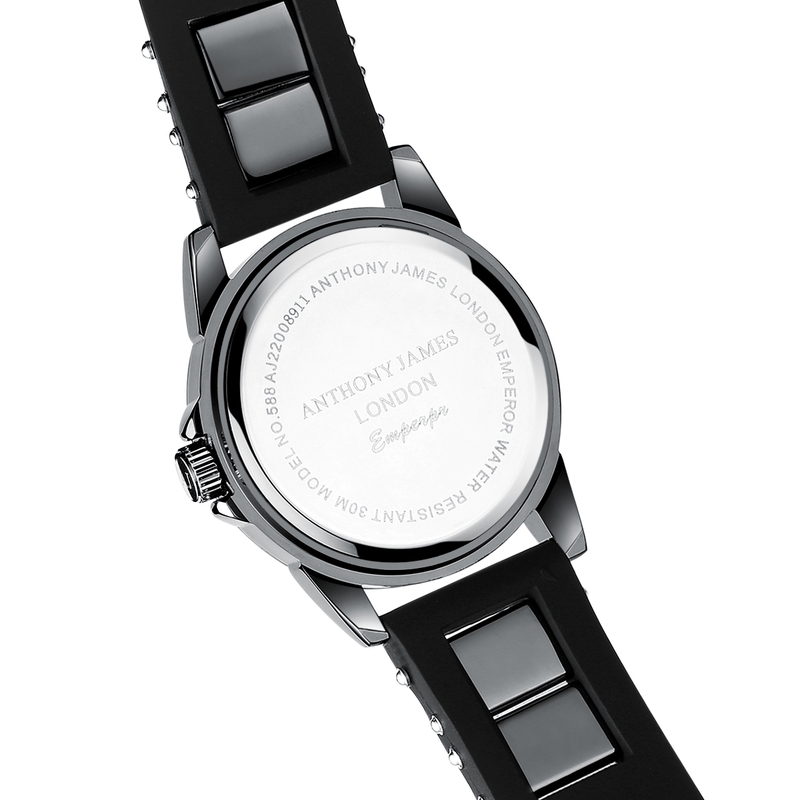 © 2019 Anthony James London Watches All Rights Reserved.